HTC Vive Tracker Bundles Now Launched in the boxes of Lucky Charms! HTC after so much now is again ready to bring its tracker device for the very first time to all its consumers. The company finally made the announcement of the device that enables its users to attach it to an object and take it with them into the virtual world- Hence, the launch of HTC Vive tracker bundles. It can be attached to any real-life object as it is basically a motion tracking accessory. And in order to use this tracker, the Customers are required to have the HTC Vive virtual reality headset present with them. The tracker is said to create a wireless connection between the object and headset and also, in fact, even allows the player to then use the object in the virtual world, which is pretty awesome in itself. The tracker can also create mixed reality videos when attached to a DSLR camera to it. "The Vive Tracker opens up a whole new set of mind blogging experiences that can take advantage of full body tracking and a number of peripherals that in return set VR experiences on Vive apart. It has already seen that With the new Vive Tracker, the tremendous tools and experiences that the development community has unleashed and created into the world of VR,” said the GM of the US at Vive in a statement namely by Daniel O’Brien. The first of these new Vive Tracker bundles are now also available for pre-order starting from today. They will be shipped around in the month of mid-December that is quite near. Each of this Tracker that are now in the boxes of Lucky Charms will cost the users $99 and can be used with dozens of Virtual Reality games and multiple new accessories such as the Racket Sports Set, the Hyper Blaster from Hyperkin, and the Rebuff Reality’s TrackStrap as well! "The Hyper Blaster is integrated with six different titles at launch, and Vive says it is working with another ten developers to integrate the gun. The racket set works with six titles with another five expected by the end of the year." says the team. 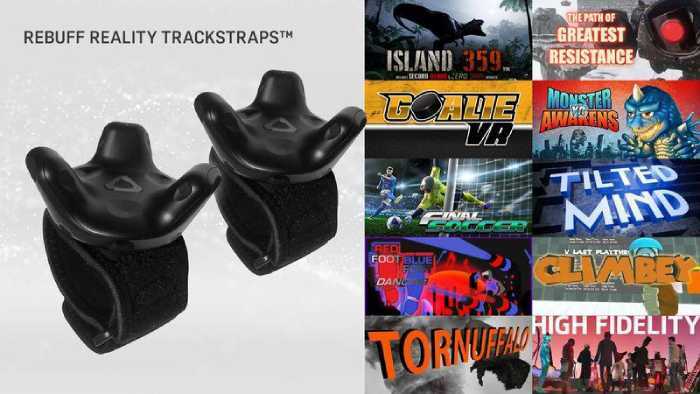 Apart from all this, For those who wish to track their bodies, the TrackStrap can also be attached to your feet— for example like those in dancing games— wrists, hip, or legs to enable full-body VR tracking. A pair of TrackStraps costs $24.99 that now comes with a redemption code on Steam for Redfood Bluefoot Dancing and while The bundle with a Hyper Blaster gun and tracker with Duck Season will be retailed for $149.99, the Racket Sports Set bundle with rackets and a tracker is going to cost the same along with a copy of Virtual Sports in addition. 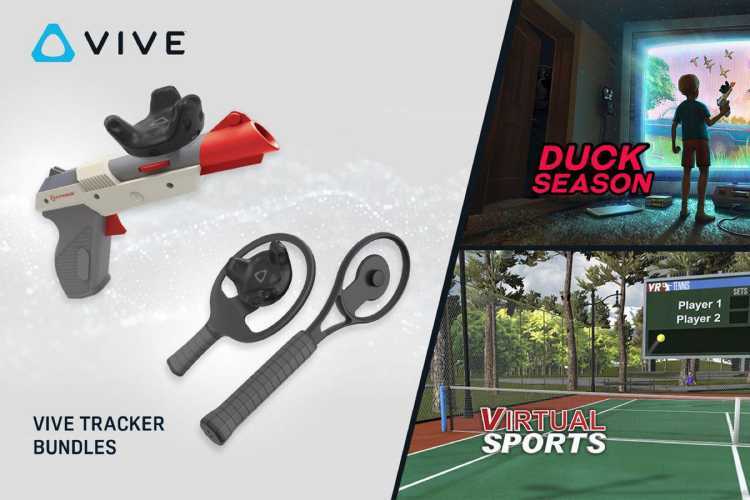 It hence is a handsome package that has been announced by HTC VIVE- New Vive Tracker Bundles And Consumer Availability on the contemporary that lets its users to shoot VR ducks and also play VR tennis.